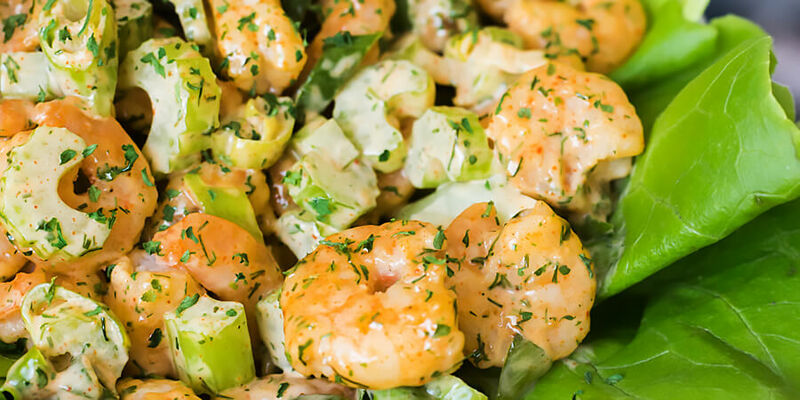 A quick and easy shrimp salad that’s perfect for warmer weather. The dill adds a refreshing taste and the crunchy texture of the lettuce works well with the mayonnaise dressing. This delicious salad is stuffed with both fat and protein while having just a few carbs per serving. In this salad, I used Boston lettuce (also known as butterhead or bibb), but romaine would work as well! I would avoid lettuce like iceberg, just because it may be too difficult to eat. 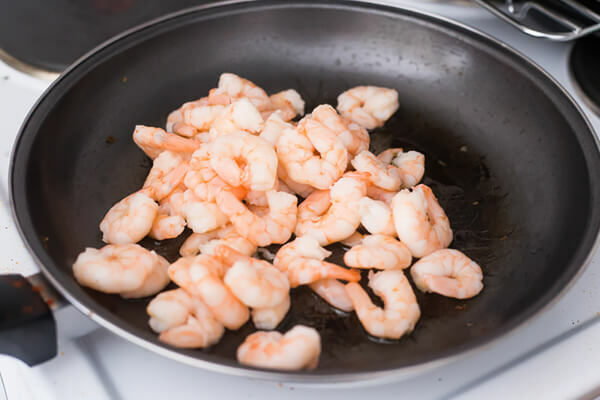 I also used pre-cooked and peeled shrimp, but you can use raw shrimp if needed. Just make sure it is fully cooked before taking off the stove. You will know they are done when they turn pink. 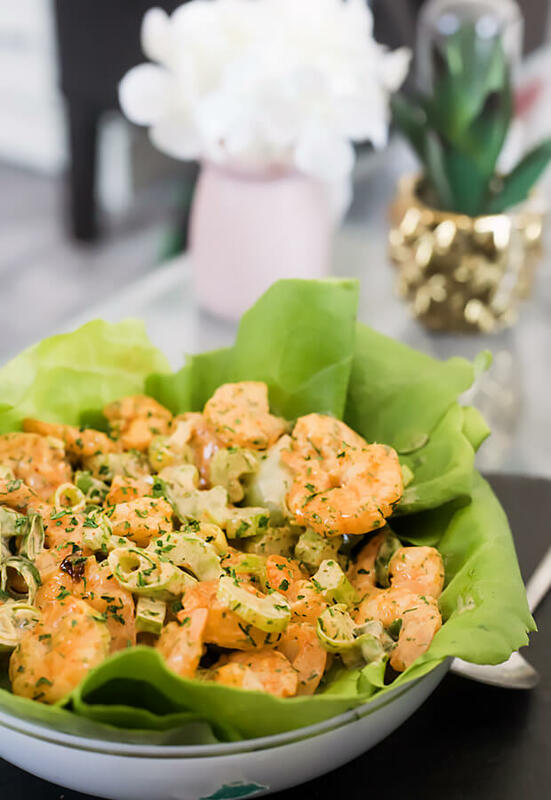 Due to the shrimp, I would recommend eating this salad within two days of making it. This is a great option for a quick and easy keto lunch. 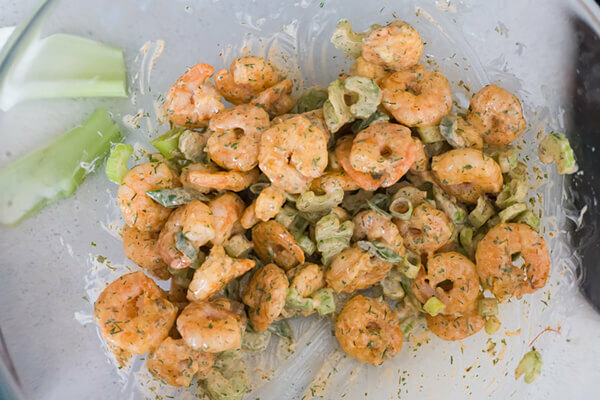 Yields 2 servings of Creamy Shrimp Salad. 1. In a pan, heat up the olive oil over medium heat. Add the shrimp and sauté for 3-5 minutes or until cooked through. 2. In a salad bowl, whisk together the mayonnaise, cream, dill, parsley, paprika, and lemon juice. 3. 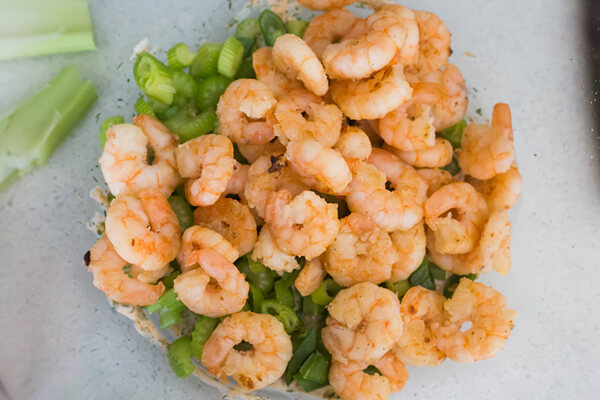 Add the cooked shrimp to the salad bowl along with the celery and green onions. 4. Mix the shrimp and vegetables until coated with the dressing. 5. Divide the lettuce into individual servings and top with the salad. This makes a total of 2 servings of Shrimp Salad. Each serving comes out to be 493.7 Calories, 35.95g Fats, 4.3g Net Carbs, and 35.25g Protein. In a pan, heat up the olive oil over medium heat. Add the shrimp and sauté for 3-5 minutes or until cooked through. 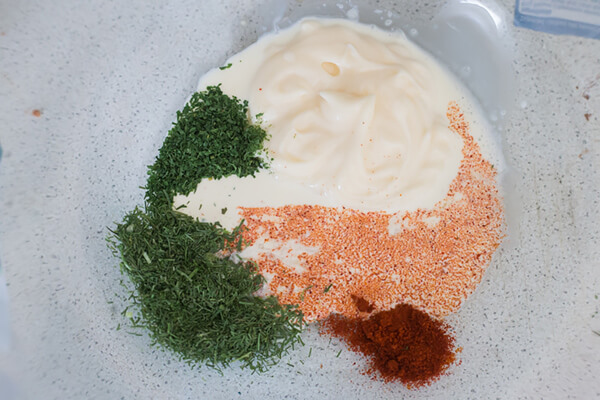 In a salad bowl, whisk together the mayonnaise, cream, dill, parsley, paprika, and lemon juice. 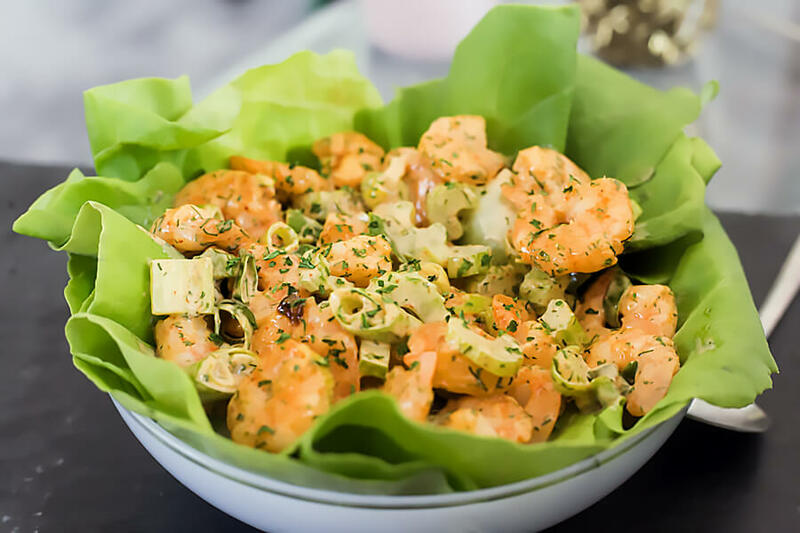 Add the cooked shrimp to the salad bowl along with the celery and green onions. Mix the shrimp and vegetables until coated with the dressing. Divide the lettuce into individual servings and top with the salad.